Oh no. I once thought I understood the Carnot cycle (I was T.A. for a thermo class, after all). Now I'm confused and I'll never get it right again. "But in general, the more likely I think a crash is, the less likely one becomes"
Until you start hitting the brakes at every unexpected motion, or driving so slowly that people are dodging around you, at which point the risk goes way up. I downloaded the image link in the HTML and it has lots of detail, unlike what's seen on the main page. Maybe the message is "this comic simultaneously violates every rule of web design"? I'm a USB C - "can't tell which way is up". And why do I have all these B-connector cables lying around? If they timed it right, they could just go through the hole. May 20, 2012, east of Reno (except for one detail). RAW, no color balance works for me. Oh no. Does this mean that World Series thing is happening again soon? I usually realize it after about 3 games have been played already. I was just reading about Foldscope. They are cheap and light enough to carry to the top of a ladder without fear of expensive breakage. Astrobiology, here I come. I don't get how this is funny. And no, I don't really want anyone to explain it to me. I can't believe I didn't ask this question. Those signs bug me every time I see them. Thanks for the thoughts so far. 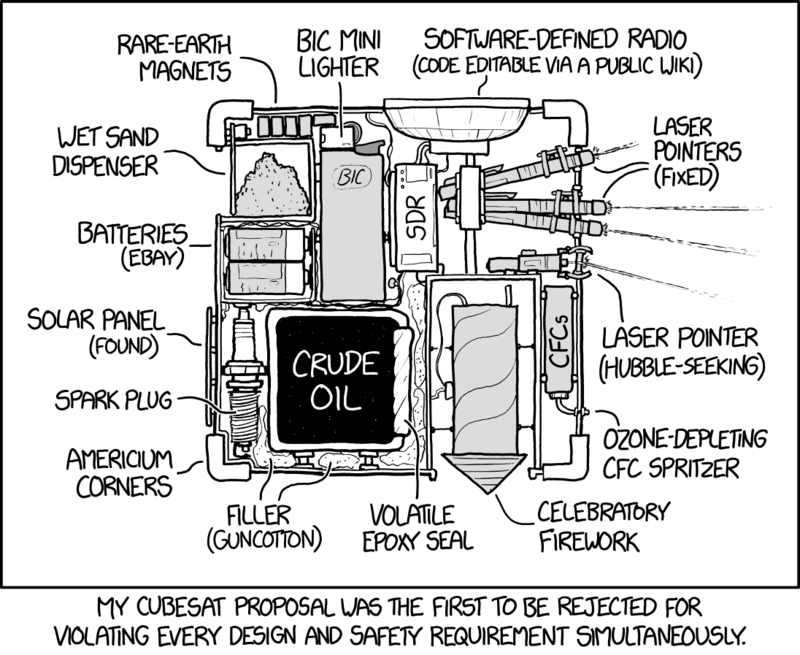 I've never felt quite so clueless about an XKCD comic before. I found most of this world by click-and-drag before starting to look at the code for a clue to what I was into. I'm really glad you did the work of putting those tiles together so I could find the rest without using the rest of my morning. This brought out the loudest laugh I have emitted in a while. As a University of Colorado Ph.D. I can say that the amber wave laser is completely plausible - or at least the motivation is.